Prima Plus je superprémiové krmivo obsahujúce iba najkvalitnejšie zložky vybrané pre ich vysokú stráviteľnosť. Prima Plus má znížený obsah tukov a je preto ideálnym krmivom pre udržiavanie vášho psa v perfektnej forme a chráni pred vznikom obezity. Obohatené o vitamín C. Neobsahuje farbivá ani konzervačné látky. Obsahuje glukozamín 500 mg/kg. Contains highly digestible, top quality ingredients. Right balance of calcium and phosphorous to strengthen bones and teeth. Enriched with vitamin D to increase absorption of calcium and phosphorous. Rich in beet fibres to stimulate intestinal movement. Also improves texture of stools. Contains fructo-oligosaccharides which favour ‘good’ bacteria in the stomach and reduce the risk of diarrhea. Enriched with sea algae that reduces plaque formation. Enriched with grap seed extract and Vitamins A and E which boost immune system. With b-carotene, an antioxidant to strengthen natural immunity. Optimal content of fatty acids Omega 3 and Omega 6 to counteract inflammations and strengthen immunity. Rich in fatty acids Omega 3 and Omega 6 to improve the condition of the skin and coat. 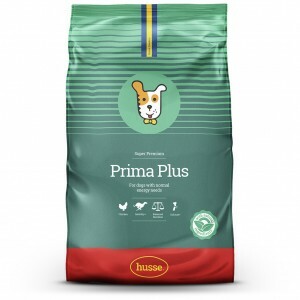 Enriched with copper to stimulate enzymes which maintain colour of coat. Contains hydrolysed chicken protein to give a great taste. Scientific studies show that Glucosamine has a positive effect on joints and joint functionality. 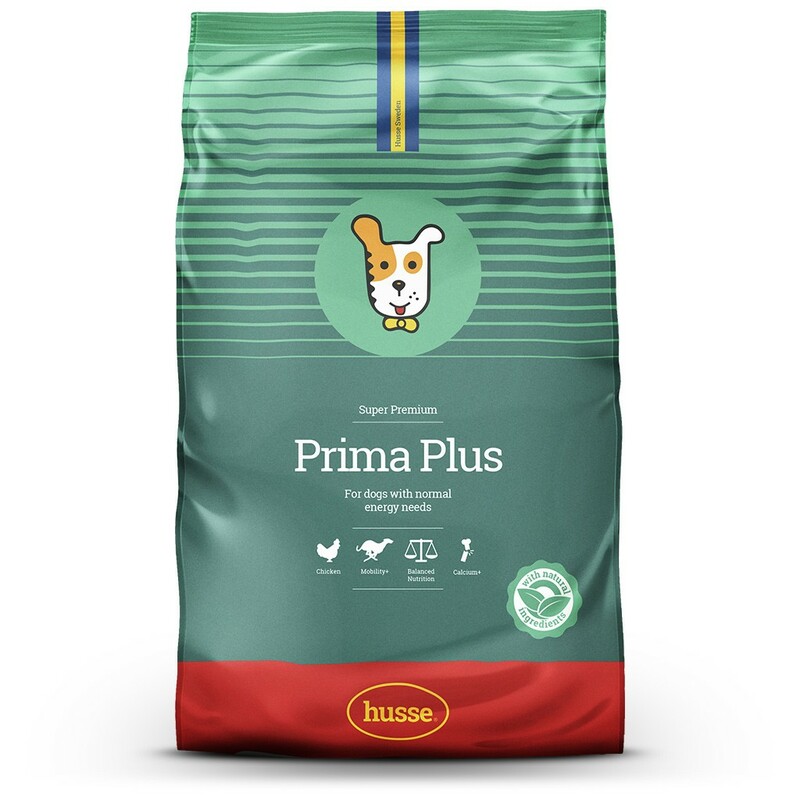 Wheat, chicken, wheat meal, rice, animal fat, beet pulp, hydrolyzed chicken protein, linseed, dried fish meal, salmon oil, yeast, salt, fructo-oligosaccharides, dried whole eggs, lecithin, tagetes extract, sea algae, grape seed extract. Protein 24.0%, fat content 11.0%, crude ash 6.0%, crude fibre 2.5%, calcium 1.1%, phosphorus 0.8%. Vitamin A 17 500 IU/kg, vitamin D3 1600 IU/kg, vitamin E 450 mg/kg, vitamin C 200 mg/kg, E1 (Iron) 200 mg/kg, E2 (Iodine) 3 mg/kg, E4 (Copper) 8 mg/kg, E5 (Manganese) 60 mg/kg, E6 (Zinc) 100 mg/kg, E8 (Selenium) 0,2 mg/kg, chondroitine-glucosamine 500 mg/kg; Antioxidants: tocopherols.